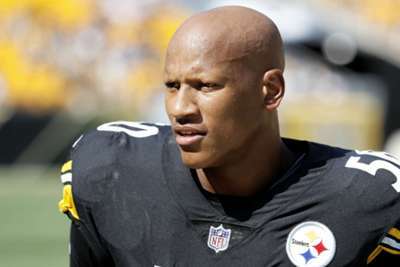 Pittsburgh Steelers linebacker Ryan Shazier returned to the scene of the serious spinal injury he suffered against the Cincinnati Bengals on Sunday. Shazier was seen strolling in the Bengals end zone less than a year after he sustained a back injury that forced him to learn how to walk again. The 26-year-old on Saturday visited the University of Cincinnati Medical Center, where he underwent surgery to stabilise his spine after the incident. Shazier posted a video to social media detailing the 10 months of his recovery with the caption: "It's been a long journey, but this is still a ways to go. But it all started here in Cincinnati. Today was an amazing day I was so thankful to be able to tell everyone thank you." The linebacker was placed on injured reserve for the season, though he has continued to work with the team as a mentor and scout.